Until its ban in 2005, Ephedra had been the most popular slimming pill in the weight-loss industry and a lot of diet supplements contained that powerful substance. Used as a strong fat burning product, Ephedra attracted all those who sought a solution to their obesity problem. Today Ephedra diet products are not available for legal purchase in the USA, in the UK or other European countries. A ban was placed on all diet supplements containing this substance because of the large number of serious, even fatal, side effects they caused. However, manufacturers try to connect their slimming tablets to the banned Ephedra products to make them look more effective. In spite of the numerous side effects of Ephedra, dieters still wrongly associate the banned substance with good weight-loss results, and they try to find similar products that are illegally sold on the Internet. Ephedra is a substance that is extracted from Ephedra sinica, a Chinese herb that has been used in the traditional Chinese medicine. Its Chinese name is Ma Huang and its active ingredient is Ephedrine, a compound similar to amphetamine which can stimulate both the heart and the nervous system. Ephedrine alkaloids are not only found in herbs of the Ephedra species, but also in a large number of other plants, and all of them are used in a wide variety of medicines in China and elsewhere. In recent years, Ephedra was used in slimming products because it was thought that it could increase metabolism, boost energy levels in the body, and help fitness and sport enthusiasts to enhance their performance. Ephedra has been used as a medicinal plant for centuries. Its Chinese name is Ma Huang and it has been used to cure a large number of ailments, such as the common cold, asthma or hay fever. Ephedra was used as a weight-loss substance because it was considered as a great stimulant with thermogenic properties which could increase the heart and metabolic rate, two factors that could lead to weight loss. As Ephedra was a legal substance before 2005, a lot of evidence was gathered about both its effectiveness and its side effects. Ephedra was accused of very serious adverse reactions and health hazards. There have also been a couple of death cases connected to Ephedra. The way Ephedra was used in the West, could not offer much evidence of any other health benefits apart from its short-term weight loss capabilities, but the pill’s fame skyrocketed after it was banned. The FDA considered Ephedra or Ephedrine alkaloids, as substances hazardous to health and recommended that consumers should discontinue their use. While the use of traditional Chinese herbs and the health benefits of Chinese medicine are highly respected by the FDA, they had to prohibit the sales of all Ephedra-containing products on the grounds of the serious side effects these diet pills caused. The ban was then expanded in the UK and across Europe, while many other countries all over the globe have placed a ban on Ephedra sales. It was also believed that Ephedra could enhance athletic performance but there is no supporting evidence to such a belief. 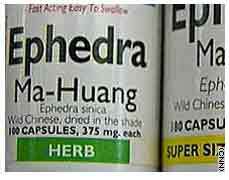 Ephedra pills are still illegal to buy in the USA and in most other countries in the world. However, there are several sites on the Internet that sell Ephedra pills, but it is not advisable to buy any of these slimming products as they may be fake and of doubtful quality. When Ephedra was banned in 2005, it was considered a powerful slimming drug with severe side effects. However, what was then considered a strong substance now seems something rather mild as the pill industry has advanced a lot since then. Today most slimming products are much more powerful than Ephedra. The good news is that while diet products today are more powerful and more effective than Ephedra, they do not cause such serious side effects. Among these powerful diet pills the least effective seem to be those in the fat-burning category. We have complied a list of the best slimming pills to buy – this list comprises of products that are commercially available to buy without prescription and are safe for human consumption.